The following is the opinions of the author’s alone and does not necessarily reflect the staff at Open Wheels. Please note this is very controversial topic. Enjoy! The day was May 1st, 1994, race day in Imola at the San Marino Grand Prix. Newly signed racing driver for Williams-Renault Formula One team, Ayrton Senna sat on his third consecutive pole in his Williams FW16 chassis powered by Renault alongside Germany’s Michael Schumacher in his Benetton Ford. Before I continue this story from May 1st, 1994, I’d like to back track and recap the previous year’s in Senna’s career. Ayrton Senna, then a British Formula 3 driver tests for Williams, McLaren and Toleman on July 19th, 1983 at Domington Park. He really impressed Williams owner Sir Frank Williams. Ayrton went on to complete 83 laps on a 1.9 mile circuit and his best lap time was a 1 minute. 82 seconds. This was the Brazilian’s first time a grand prix car. The car he tested for Sir Frank’s team was the Williams FW08C which won the Monaco Grand Prix with Keke Rosberg behind the wheel two months previous. The lap time Senna set was very comparable to what a racing driver would set at Domington Park. It was everything I could have wanted,” he told the watching media hordes afterwards. “I learned a lot, got some consistent laps in and benefitted from having Frank Williams there to watch over everything. Sir Frank Williams had this to say after his first time seeing the flying Brazilian. 1984: After Ayrton’s strong showing in his test this impressed Toleman Formula One team boss Ted Toleman and Mr. Toleman placed the young flying Brazilian in one of his racing machines alongside Venezulan motorcycle champion Johnny Cocetto. Since the Toleman F1 team didn’t have their 1984 car set and ready for the first race of the season in 1984, the Brazilian Grand Prix (Senna’s home race) the team was forced to use the much slower 1983 B chassis called the TGB 183B. The slowness showed at the Rio de Janiero circuit when Senna qualified 17th and his teammate right alongside in 18th. Ultimately, Senna retired from his first grand prix. The next two grand prix races showed promise for the upstarting Brazilian with two 6th place finishes at South Africa and Belgium. Heading into the next race the team seemed to be on a high with Senna’s recent performances but the momentum swinged for him, he didn’t qualify for the San Marino Grand Prix, then that was followed by a retirement at Magny Cours for the French Grand Prix. Heading into Formula One’s biggest race in the Streets of Monte Carlo, Monaco, the Toleman team finally finished the TGB 184 the new chassis that was expected from day one of the 1984 season for Senna and Cocetto. 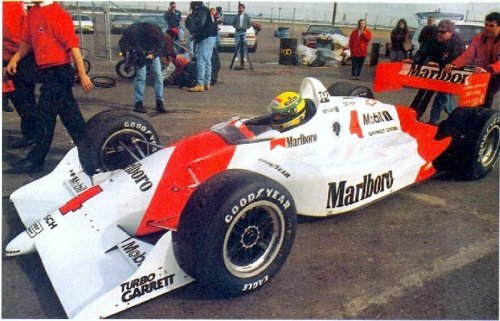 Senna qualified 13th, a mere 3 seconds off of the pole man, Alain Prost. The race was delayed by 45 minutes due to heavy rains but once the race got going a lot of drivers were having difficulties with the conditions. Nigel Mansell, who was running in second position spun off heading up the hill into Massenet and Casino Square. Giving Senna the effective 2nd position. He was setting fast lap after fast lap catching up to the leader of Alain Prost in a McLaren. The rain was coming down heavier on lap 30 and the race called but Prost stopped before the start/finish line and Senna crossed. Ayrton wildly waved his arms in the air thinking that he won but he was sadly wrong. While he was delighted to finish second in an under performing Toleman machine, you could see the emotion on his face of bitter disappointment at the same time. After Monaco, was the Canadian Grand Prix at Circuit Gilles Villenueve, Senna just finished outside of the points in seventh position. That was followed by two straight retirements at Detroit and Dallas. After the United States races’, Formula One returned home to England and the Silverstone International Circuit for the British Grand Prix and Senna landed a 3rd place finish. After the fortunes in Silverstone, the bad luck came and it struck hard. 5 retirements in a row at Germany, Austria, Netherlands, Italy and Europe respctively. The last race of the 1984 season was the Portugal Grand Prix at Estroil Circuit. Senna managed a 3rd place finish. He ended up 9th in points with 13 points. 1985: After a impressive rookie year at Toleman, Ayrton made a move to the Lotus team for 1985. He was paired with Ello de Angelis for the Renault powered team. The season started just how it did for the Brazilian at the Brazilian Grand Prix at Rio, a retirement in his Lotus 97T chassis. Then at the next race in Portugal at the Estroil International Circuit, Ayrton Senna claimed his first ever pole position and won from the pole in the rain, a race that was similar, conditions wise to Monaco from the year before. He followed up his victory with a pole at Imola but then retired from the Grand Prix. Once again Senna sat on pole but this time it was Formula One’s crown jewel event the Monaco Grand Prix but he ended up retiring. The bad luck continued with four straight races out of the points in Detroit (a pole), France, Great Britain and Germany. The bad string of luck stopped at the next three races with them all being podiums at Austria, Netherlands and Italy (2,3,3). Then another race victory took place at the Belgian Grand Prix after Senna started 2nd, behind Prost and followed up his win the next race in Europe with a pole and a 2nd place finish. Then to finish out the season, Senna had DNF’s at South Africa and Australia (pole). Ayrton Senna concluded his sophomore season in Formula One fourth in points with 38 and 2 wins. For 1986 Senna was still at Lotus this time he was paired with Scotland’s Johnny Dumfries. The season started off with a bang for Senna, he scored 3 straight poles at Brazil, Spain and San Marino. Senna finished 2nd in Brazil, was the victor in Spain and didn’t finish in San Marino. The next three events saw a good rebound in Senna’s step with a third place finish in Monaco, second in Belgium and a fifth in Canada. The next race was the Detroit Grand Prix at a street circuit in downtown Detroit. Ayrton sat on pole and won the grand prix. After the Detroit Grand Prix, Senna was sitting in 1st in the World Drivers Championship on 36 points and two race victories. The points lead was shortly lived because the Lotus 98T failed in France (pole) and Great Britain. After that Great Britain race, Ayrton was sitting 3rd in points behind Frenchman Alain Prost and Brit Nigel Mansell by 11 points. Two second place finishes followed the two DNF’s at Germany and Hungary (which he sat on pole at). During the last five races of the 1986 season Senna had a mixed bag of finishes he had retirements in Austria and Italy and poles at Portgual (4th place finish) and Mexico (3rd place) and a retirement at the Australian Grand Prix at Adelaide Street circuit. Senna again finished the season 4th in points but this time it was on 56 points. For the 1987 season the Lotus team had a few changes. Camel cigarettes replaced John Player as the teams sponsor and the team switched engine manufactures from Renault to Honda power. Senna also had his third different teammate in three years this time his partner in crime was 34 year old Japanese driver Satoru Nakajima. None of these changes really seemed to effect Senna’s performance in the 1987 season. While the first races were a bit shaky, retirements in Brazil and Belgium split by a second place finish in San Marino, the first time he ever completed that grand prix and the entirety. The next two races were race victories in Monaco and Detroit. After the two race victories, he finished fourth in France and third in Germany and Great Britain, then finished second in Hungary. Senna looked like a legitmate title contender. He followed up the Hungarian Grand Prix podium result with a fifth at Austria and a second at the Italian Grand Prix. Then he finished out of the points in seventh position at the Portugal race and then bounced back in the points at Spain with a fifth place. The final three races saw disappointment for Ayrton. Retirement in Mexico, a second in Japan and getting disqualified at Australia. Although this rough luck dampered any opportunity at a World Championship, he did finish third in points with 57. Fellow countrymen Nelson Piquet won the championship that year. The 1987 offseason heading into 1988 saw Ayrton Senna make a transition. He left the Lotus-Honda team to join Marlboro McLaren and partner two time world champion, Alain Prost. The 1988 season was the first with the Honda engine for McLaren. While Senna understood there was pressure with being at a high profile team such as McLaren, he viewed this as a statement year. Also, he was not phased by his teammate and his credentials. Ayrton put his McLaren MP4/4 on pole for the first five races. He was disqualified at his home grand prix in Brazil. He followed that dismal race up with a win at San Marino. Then the schedule came into full swing at Monaco. Ayrton was leading the race by almost 1 minute. He seemed to have the race in command and all he had to do was bring it home but he felt it was necessary to keep pushing and he stuffed the car into the wall. He walked off back to his apartment and didn’t want to talk to anyone at all because of the huge disappointment. This would’ve turned out to be Senna’s lowest finish of the season. He bounced back in Mexico with a second place finish, only behind his teammate Prost, who had won his second straight race and third overall. This was the turning point in the 1988 season for Ayrton, he won the next 6 out of 7 races and in the race he didn’t win he finished second. It was almost his championship to lose at this point. After his hot streak, he cooled down a bit with a tenth in Italy, a sixth in Portugal and a fourth in Spain. Heading into the Japanese Grand Prix, Senna had to win the Japanese Grand Prix or have Prost finish outside the points. Senna went on to win the Japanese Grand Prix after he slipped back to the teens off the grid. He followed up his championship clinching performance with a second in Australia. Overall, Senna ended up with eight wins and eleven podiums. He finished the season with 94 points. McLaren won the constructors championship by nearly 100 points. To this day the 1988 season is probably one of the most team dominated seasons Formula One has ever seen, maybe other than 2011 when Red Bull Renault destroyed the field. For 1989, nothing really changed. Honda was still the engine. 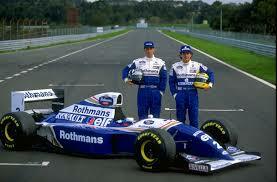 Prost was teammate but tension was growing between the two. Senna started off 1989 just like he did with 1988, five straight poles, a bad finish in Brazil, followed by a win at San Marino. Was this going to be another championship year? Unlike the year before, he capitalized at the Monaco Grand Prix and then won the Mexican Grand Prix. While he sat on pole at Phoenix’s street circuit for the United States Grand Prix he retired. The next string of races saw the same luck that United States had for Ayrton. Out of the points finishes in Canada, France and Britain. Senna then won the German Grand Prix, second in Hungary and won Belgium. This seemed to put Senna back in title contention only behind teammate Prost. The clock stuck midnight again, two pole starts resulted in retirements at Portugal and Italy. This put more and more pressure on him to win races to get back in the hunt for the championship. He did that indeed with a win in Spain. 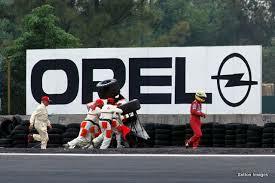 Once again the championship came down to Japan, the second to last race of the 1989 season. This time the consequences were reversed. 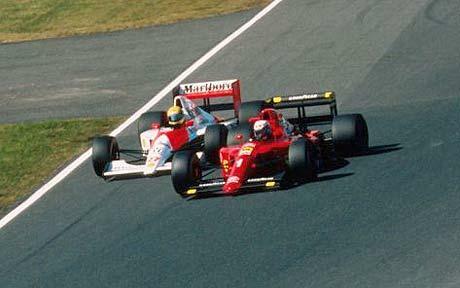 Senna had to win the race and Prost had to finish out of the points. Most of the race Prost was leading Senna. Senna was buying his time and waiting to attack Prost for the lead. 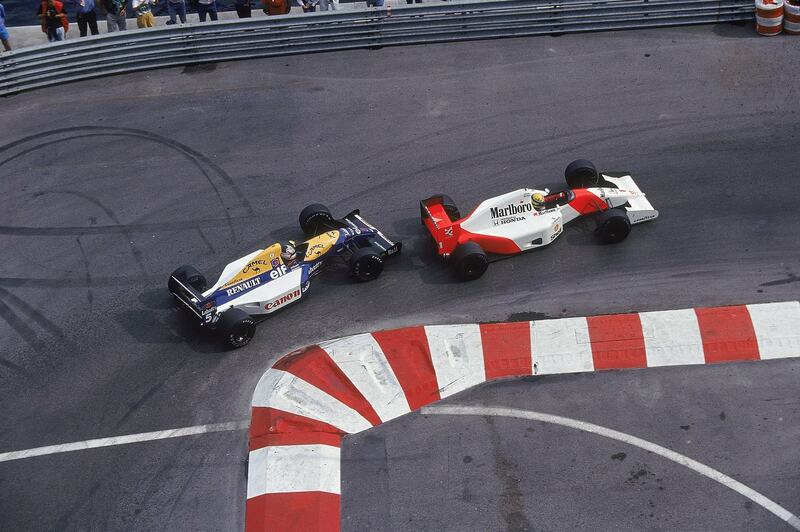 With 5 laps to go Senna went to the inside of Prost in the Casio Triangle chicane and Prost came over, they hit. Prost was out of the race. Senna continued but then was later disqualified because he didn’t go the race distance because he didn’t turn back into traffic and continue the race distance in full. This clinched Prost his third championship. Ron Dennis, president of McLaren was furious after this and defending Senna because turning back into traffic is very dangerous. The last race in Australia didn’t really matter and Senna ended up retiring. For 1990, Prost left McLaren to partner Nigel Mansell at Ferrari and Ferrari’s old driver, Gerhard Berger came over to partner Senna. While Senna didn’t sit on the pole at the season opener in the United States (Berger was on pole) Ayrton went on to win the race. As ESPN pit reporter John Bisignano said in the documentary Senna (which we will get to later in this article) he never saw Ayrton more relaxed as a driver after Alain Prost left the team to go to Ferrari. The relaxed Senna showed over the next bunches of races. He followed up his win in the United States with five straight poles (Brazil, San Marino, Monaco, Canada and Mexico.) The results in those five races are as followed: 3rd, RET, WIN,WIN, 20th. Ayrton had full control of the 1990 Mexican Grand Prix until he had a wild flip in the final corner of the Autodromo Hermanos Rodriguez, he was unhurt but he thought to himself for the first time he could actually get hurt driving a F1 car. After the wild events in Mexico, Ayrton was back on form at France and Great Britain with two 3rd place finishes. At this point Ayrton was 2nd in points behind Prost of all people. This was Prost’s first championship lead all year. This lead of Prost’s was shortly lived though. Over the next 5 races, Ayrton had three wins, four poles and two second place finishes. After the 1990 Portugal Grand Prix, Senna had a 18 point lead over Prost with three races left. This was virtually impossible for Prost to make up. 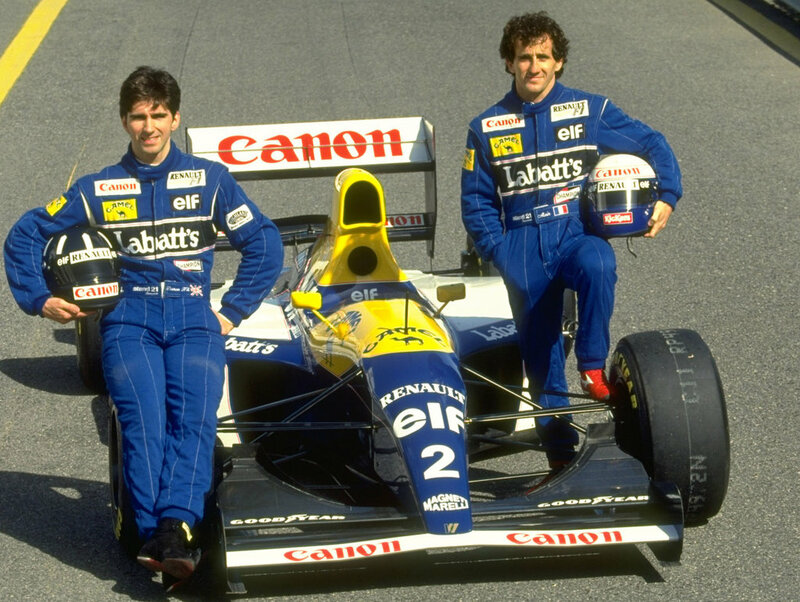 Senna retired in Spain after sitting on the pole and Prost won the race. This meant going into penultimate race in Japan the title would be on the line again. 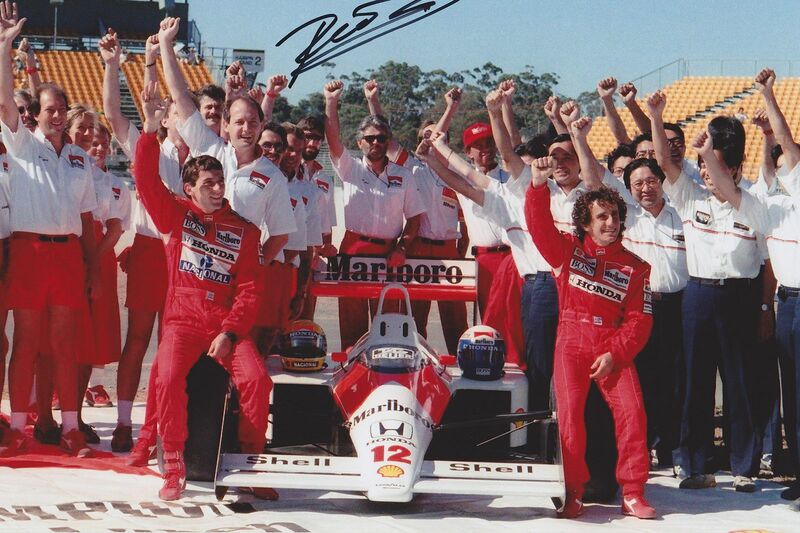 Prost had to win the race and Senna had to finish outside of the points to force the championship to the final round in Australia. 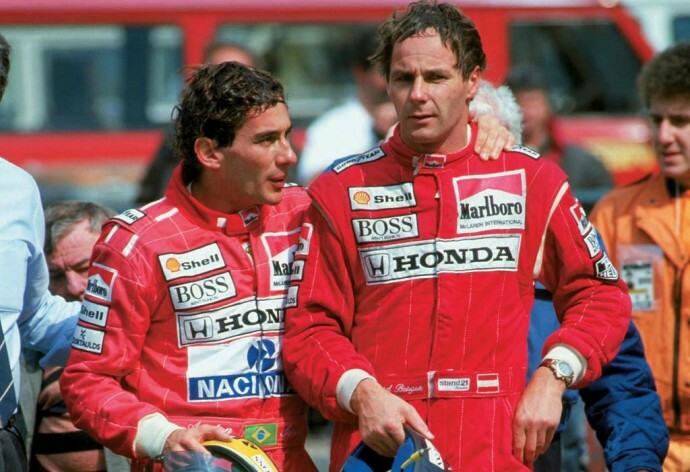 Senna sat on pole alongside his rival. 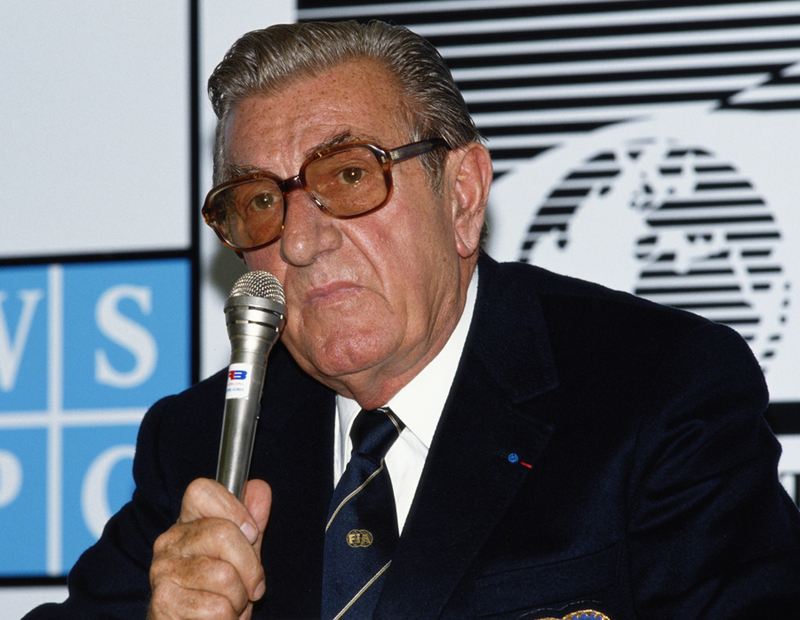 Mysteriously the FIA president, Jean Marie Balestre moved the pole position to the dirty side of the race course. Balestre tended to play favorites with Prost (see 1989 Japanese Grand Prix). Ayrton lobbied for this to change in the drivers meeting the day before. The best quote from that drivers meeting was one of Nelson Piquet, Senna’s fellow countrymen. “Last year there was a big f*** up with Ayrton. Senna graciously smiled and agreed. Prost just looked back and glared. Senna walked out of the drivers meeting in disgust after JMB decided not to listen to Ayrton’s case. He went up to other officials and made his case. 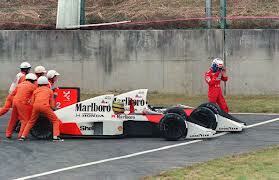 The 1990 Japanese Grand Prix carried on with Prost technically starting first due to the clean line with Ayrton to the inside of the Frenchmen. As the lights went out for the start of the penultimate race of the season, Senna got a horrific start as he anticipated. Prost took off flying into turn 1, a double apex right hander at the Suzuka Circuit. As Senna recovered a bit at the start, he went to inside of Alain’s Ferrari. Prost opened up the door and then slammed it but it was too late, Ayrton was there on the inside, they both crashed and went off into the gravel trap at turn 1. As both drivers walked back to their team’s respective paddocks they exchanged a few words. 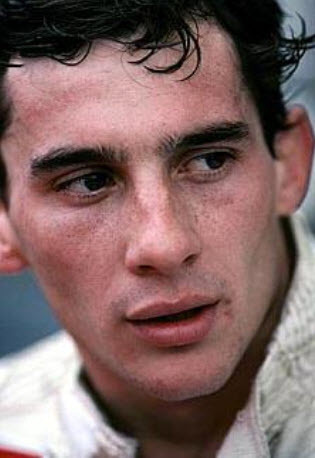 Later, Prost is quoted by saying”I wanted to punch him in the face.” This quote was revealed in the documentary film Senna. As Senna was walking back to the McLaren paddock to watch fellow teammate Austrian, Gerhard Berger, he was stopped by ESPN F1 pit reporter John Bisignano. When Bisignano asked him ” How does it feel to be the World Champion again? Senna smirked and responded” It ain’t a bad feeling at all is it? You could tell his disgust even though he was World Champion. So, once again the last race of the season didn’t matter at all to Senna. He sat on his third consecutive pole but retired once again for the third straight race. 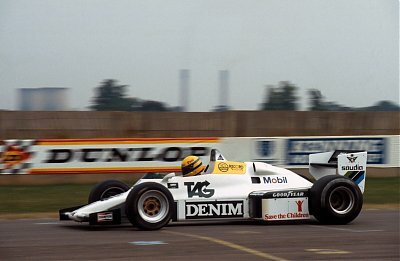 Senna won his 2nd WDC with 78 points and 6 wins. Heading into the 1991 season, nothing changed for the McLaren team. Berger was still his teammate, the Honda engine was still there. Prost was still at Ferrari. 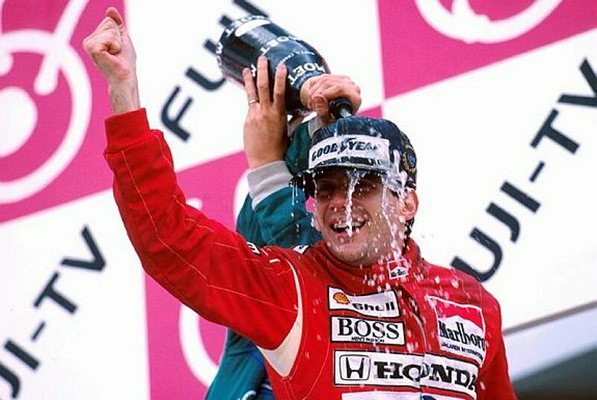 The season started off with a bang for Ayrton, four poles converted to four race victories giving him a huge advantage in the points including his third straight victory in the famed Monte Carlo street circuit race but before that race in Monaco, he finally won his home Grand Prix in Brazil. He ran the last 10 laps stuck in 6th gear and passed out after the race. He was very weak, he could hardly lift the trophy. After the hot streak to begin the season came a retirement at the Canadian Grand Prix. 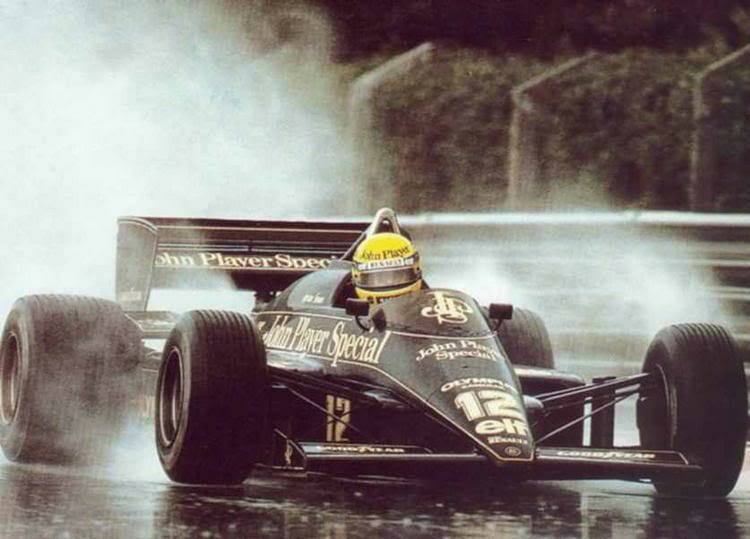 The cold spell didn’t continue, Ayrton finished third in back to back races at Mexico and France. Fourth place followed at the British Grand Prix. He finished out of the points in a mere 7th at Germany. The mediocre middle part of the season stopped. The flying Brazilian converted two poles at Hungary and Belgium into race victories and a second at Monza for the Italian Grand Prix. In Portgual he really added on to the points lead with another second place finish. The last three races of the 1991 season were very consistent for Ayrton, a fifth in Spain, second in Japan, which clinched his third championship over Nigel Mansell. He sat on pole for the last race of the season in Australia and won the race. He finished the season with 96 points. The biggest story from 1991 was the Ferrari sacked Prost with two races left after he was talking bad about the team. The 1992 and 1993 seasons were probably the worst in Ayrton’s time at McLaren. For 1992, they kept the Honda engine, Berger was still teammate but the biggest thing was that Alain Prost was not racing, he took a sabbatical after the Ferrari sacking from the previous year. The Williams team was the team to beat in 1992, with their automatic electronic suspension that practically drove the car for the drivers all they had to was brake and punch the accelerator. The Williams duo of Great Britain’s Nigel Mansell and Italy’s Ricardo Patrese seemed unbeatable. Mansell sat on pole for the first five races and converted them to wins and Patrese was right behind in 2nd place except for the Spanish Grand Prix. At this moment, Senna was sitting fourth in points, four races out of the points lead. Heading into his personal kingdom (Monaco) something had to give. Mansell sat on pole but had to make a pit stop due to a flat tire late giving Senna the victory, his fourth straight at the Monte Carlo Street Circuit. 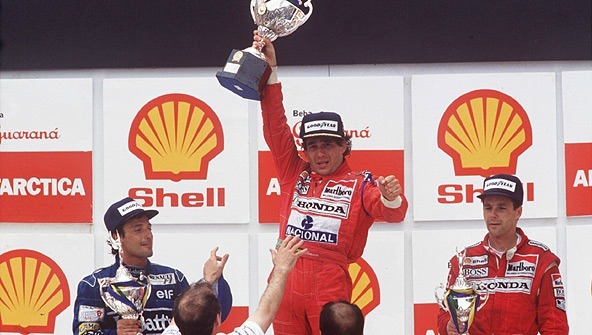 The next week in Canada, he sat on the pole position for the first time of the ’92 season, he retired from the race, teammate Gerhard Berger went on to win the Canadian Grand Prix giving the McLaren-Honda team its second straight win and a bit of confidence. This confidence was shortly lived though, Senna retired in the next two races, Mansell won both races. In Germany, at the Hockenheimring, Senna finished second but Mansell won from the pole position. This gave Mansell his 8th win in 10 races, virtually clinching him his first World Championship. In the final six races, Senna won two races (Hungary and Italy), finished fourth in points behind Mansell, Patrese and Benetton’s Michael Schumacher. This was arguably the most difficult season in Ayrton’s 11 year Formula One career. During the offseason before the 1993 season, many things were announced. The biggest thing was that both Mansell and Patrese were out at the Williams team. Prost had signed a contract with Williams in the middle of 1992. Thus forced, Mansell to the IndyCars to replace American Michael Andretti who had announced the same weekend that Mansell wouldn’t return to Williams that he had agreed to a deal with the McLaren team for 1993. Gerhard Berger returned to the Scuderia Ferrari team. Senna was still unsure where to go, he was having talks with Williams to go there in 1993 but Prost had a clause in his contract saying Senna couldn’t sign with Williams as long as Prost was there. This left many options open for the triple world champion. Fellow Brazilian, 2 time F1 champ, and CART IndyCar driver, Emerson Fittipaldi invited his compatriot to test his Penske-Chevrolet IndyCar in the offseason at Firebird Raceway in Arizona. Rick Mears, Roger Penske and Paul Tracy were also on hand. Ayrton was very close to taking this deal but it fell through, if he would of went to IndyCars he would have kept his friendly rivalry with Mansell. McLaren prematurely announced that Michael Andretti would be paired with Finland’s Mika Haikkenen who came over from the Lotus team. At the eleventh hour Senna had announced that he would come back to the McLaren team but with one little twist, a race by race contract. This meant if he was unsatisfied he could back out at any moment. WATCH: SENNA’s 1993 Press Conference discussing his decision. The season started off with two wins in the first three races (Brazil and Europe). Senna won Monaco for the fifth consecutive year. Then it all went down hill from that point. At this moment he was leading the Drivers standings, I may add. Until the penultimate race of the season in Japan, Senna’s best finish in that stretch of races was fourth on two occasions and it was a spell filled with DNF’s. After the Italian Grand Prix, it was announced that Andretti’s contract would be terminated and he worked out a clause with Ron Dennis sending him back to CART with Chip Ganassi for 1994. Also announced at Portugal, Alain Prost wouldn’t be racing in 1994 after clinching his fourth World Drivers Championship, thus opening the door for Senna in 1994 alongside Damon Hill. He went on to win the final two races, the fact he finished second in the points was quite an amazing feat considering how much pace the car didn’t show and retirements. 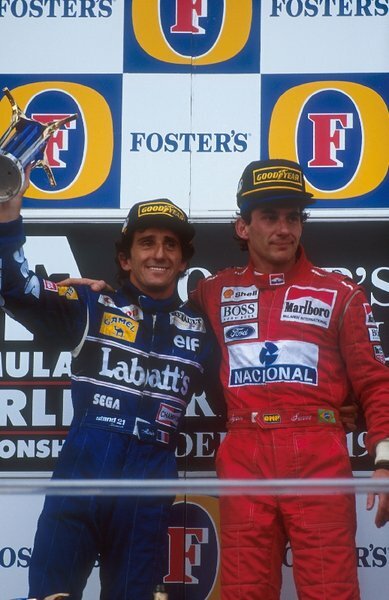 The 1993 Australian Grand Prix was the final race that both Senna and Prost were on the podium for in there respective careers. As all expected, Williams made Senna official. Senna struggled with the FW16 chassis assembled by Sir Frank Williams team even though he qualified on pole for his first three races and his last three races. In Brazil, he was leading and Benetton and Michael Schumacher had an illegal pit stop leading to Schumacher taking the lead and while Senna was running second he spun. The next race, the Pacific Grand Prix saw Senna spin out in the opening corner. Now to the worst part of this article, please brace yourselves. During Friday practice at the Imola circuit in preparation for the San Marino Grand Prix on April 29, Rubens Barrichello, a young Brazilian upstart crashed heavily into tire barriers and his car flew off the ground, he was okay. The next day, Saturday qualifying, Roland Ratzenberger of Simtek racing was killed in a qualifying crash. Senna wanted nothing to do with the media that night. Many people were positive he wasn’t going to race that Sunday (May 1st). Now back to the story above. At the start of the Grand Prix, there was a crash between JJ Lehto and Pedro Lamy collecting many other cars, this brought out the safety car out until lap 5. Senna was still leading his German rival on lap 7, as his car went into the Tamburello (corner) into an unprotected concrete wall. Telemetry shows he left the track at 310 km/h (190 mph) and was able to slow the car down by braking to 218 km/h (135 mph) in slightly under 2 seconds before hitting the wall. 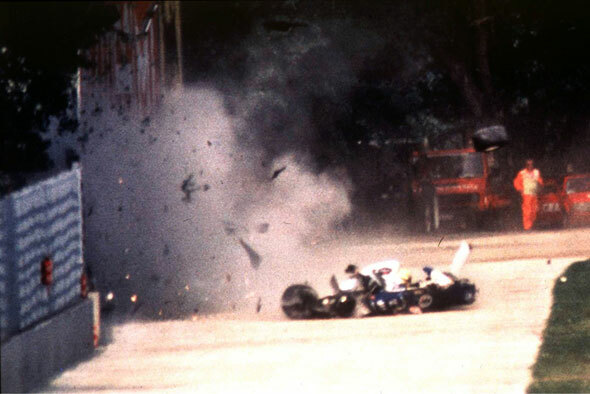 The suspension of the Williams broke on impact, the tyre flying backwards and hitting Senna on the head. The car slid to a halt on the circuit, with Senna motionless. Senna’s close friend and the FIA’s Doctor, Sid Watkins tried all he could do. Senna was airlifted to a local hospital were he was taken off a ventilator and pronounced dead at the age of 34. The race carried on after a lengthy red flag and Schumacher won the race. I never got to see Ayrton Senna race, I wasn’t even born at the time he was a Formula One driver. I didn’t even hear who this “guy” was until I started to research more about Open Wheel in the summer of my 7th grade year in middle school. As I wrote this article, I had plenty of tears because I wished I would’ve got to see him race. I’ve watched his documentary, Senna, which most of this information is from but also have watched full races and clips on YouTube and Netflix. No matter what people say, Ayrton Senna will always be a legend in the motor racing world. Twenty years after his death, he isn’t forgotten. As I wrap up this article, I would like to thank you for reading almost 4500 words. This article is one of my biggest accomplishments in my young writing career. If it wasn’t for our fans of Open Wheels I wouldn’t even want to share my thoughts at all. I now leave you with some quotes from the best on Ayrton Senna de Silva. Sid Watkins: [just after Ratzenburger’s death] You know Ayrton, you’ve been 3 times world champion, you’re the fastest man in the world, and you like fishing, so, why don’t you quit, and i’ll quit and we’ll just go fishing. Ayrton Senna: Sid. I can’t quit.